Gov. Andrew Cuomo swept all five boroughs, according to unofficial Board of Elections results. Democratic candidates in New York were victorious in the races for the top state offices on Tuesday. Gov. 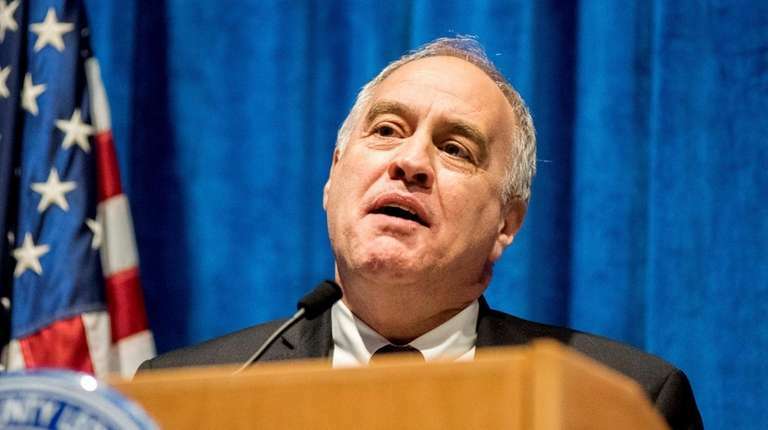 Andrew Cuomo won his bid for a third term, Letitia James defeated Keith Wofford to become attorney general and Thomas DiNapoli was re-elected comptroller. Democrats swept the Senate races this year, with at least six new senators elected to represent parts of the city. In District 22, Democrat Andrew Gounardes is leading the vote tally over Republican Martin Golden, who has not conceded the race. Letitia James becomes NY's 1st black attorney generalJames' victory opens the door for a special election for NYC public advocate. Cuomo wins third term as New York's governorCuomo's win means another term for Lt. Gov. Kathy Hochul as well. Meet the 7 new state senators from NYCJulia Salazar, Jessica Ramos and John Liu will be among the new faces in Albany.